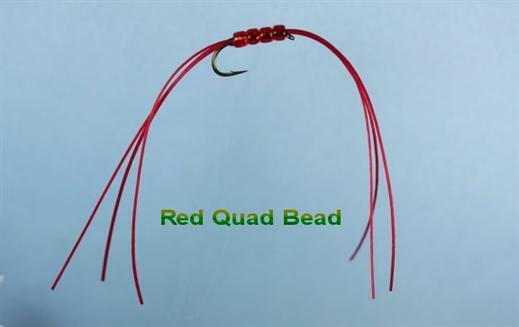 The Red Quad Bead Worm represents bloodworms which are a hot favourite of the trout. The beads allow this fly to drop down through the water with its legs waving tantalizingly. Currently there are no comments about the Red Quad Bead Worm fly pattern from other fly fishermen yet.